Homes is a nonfiction book by Abu Bakr al Rabeeah & Winnie Yeung. Homes by Abu Bakr al Rabeeah & Winnie Yeung will be defended by Chuck Comeau on Canada Reads 2019. Abu Bakr, one of eight children, was 10 years old when the violence began on the streets around him: car bombings, attacks on his mosque and school, firebombs late at night. Homes tells of the strange juxtapositions of growing up in a war zone: horrific, unimaginable events punctuated by normalcy — soccer, cousins, video games, friends. Abu Bakr al Rabeeah: "[Sharing my stories] was a great experience. Nothing was really hard for me. It wasn't like reliving hard times or hard memories. It was just telling about my past. I was so proud of it. By telling stories to Ms. Yeung, I learned a lot of stuff that happened to me that I didn't realize. For example, not being able to go out for soccer or with friends — that taught me how to be a patient person. Not having things I wanted because of the circumstances, that taught me to enjoy the small things I had." Abu Bakr al Rabeeah: "I hope readers [walk away] knowing how similar we are, how we have the same things, even though we are from countries far apart. When I first came to school [in Canada], some of my friends asked me, 'Do you guys have chairs back in Syria? Do you have schools?' These kinds of question led me to telling my story. The other thing [I hope people learn from the book] is that, yes we went through a lot of bad stuff, a lot of problems. But we still had a good life there. There are still people who are happy living in Syria." 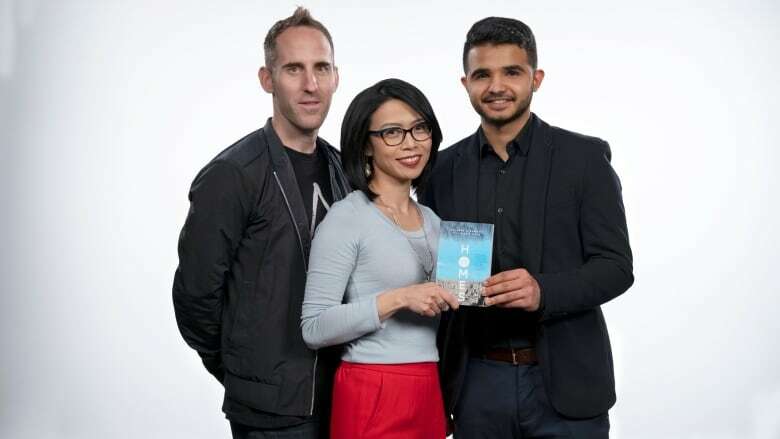 Read more from Abu Bakr al Rabeeah and Winnie Yeung's interview with CBC Books. From Homes by Abu Bakr al Rabeeah and Winnie Yeung ©2018. Published by Freehand Books. ​Chuck Comeau and his bandmates formed Simple Plan in 1999. The band has sold over 15 million albums and performed in more than 70 countries around the world. Early on, they started the Simple Plan Foundation, which raises money for charitable causes devoted to helping young people in need — from suicide prevention, to poverty, mental health awareness, musical education and drug addiction.